CLEMSON, SC – The Clemson women’s basketball team continues ACC play with preseason-favorite and No. 4/5 Duke at Cameron Indoor Stadium on Thursday night at 7:00 pm. Clemson (4-10, 0-3 ACC) is looking for a tenth win all-time in Cameron, but Duke (13-0, 3-0 ACC) comes in as the last undefeated team in NCAA Division I women’s basketball. The game will be broadcast on the Clemson Tiger Sports Network, and can be found to watch online at GoDuke.com. Live stats will also be available, and periodic in-game updates are on the official Clemson women’s basketball twitter account, @CLEMSONWBB. Duke has a narrow, 34-32 lead in the all-time series, but has won 15 straight meetings between the schools, including an 81-37 decision last season in Littlejohn Coliseum. This will be the first of two meetings between the teams this season, and they’ll come just two weeks apart, as the Devils make a return trip on Jan. 24. Nikki Dixon enters the game averaging 14.5 points per game to lead Clemson, which puts her ninth among all ACC players. She’s averaging 19.3 ppg in three ACC games, which is third in the league. 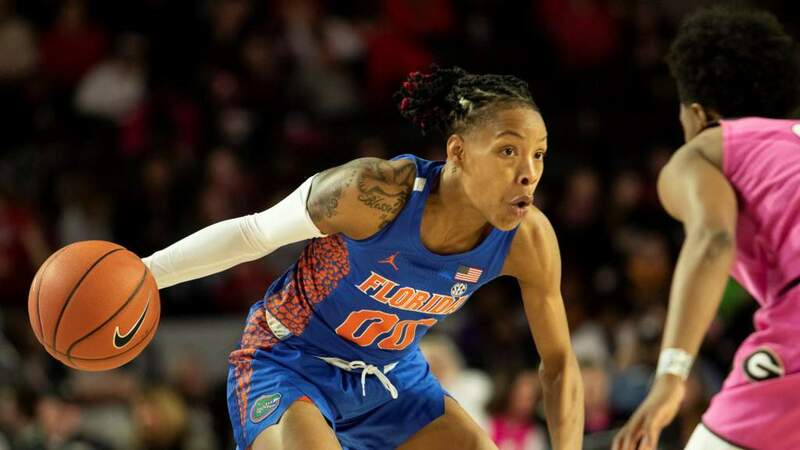 She also ranks fifth in the league at 2.7 steals per game, and she recently became the second-fastest Clemson player ever to 100 career steals. Quinyotta Pettaway has also played well of late, averaging 9.8 points and a team-best 9,5 rebounds per game, placing her fourth. In three ACC games, she leads the conference, pulling down 14.3 boards per game. Her 1.8 blocks per game average is also the fourth-best mark in the conference overall. Aisha Turner had a strong week over the last two games. She had a career-best nine assists at Miami last Thursday, and then scored a career-best 13 points against Georgia Tech on Sunday. For the season, she is third among all ACC freshmen in assist-to-turnover ratio (1.2), and third in assists per game (3.2). After the match-up with Duke, Clemson opens the second half of their schedule with a game against Boston College at 1:00 pm on Sunday. That game will be televised by RSN, and kicks off Clemson’s new Student Rewards Program.